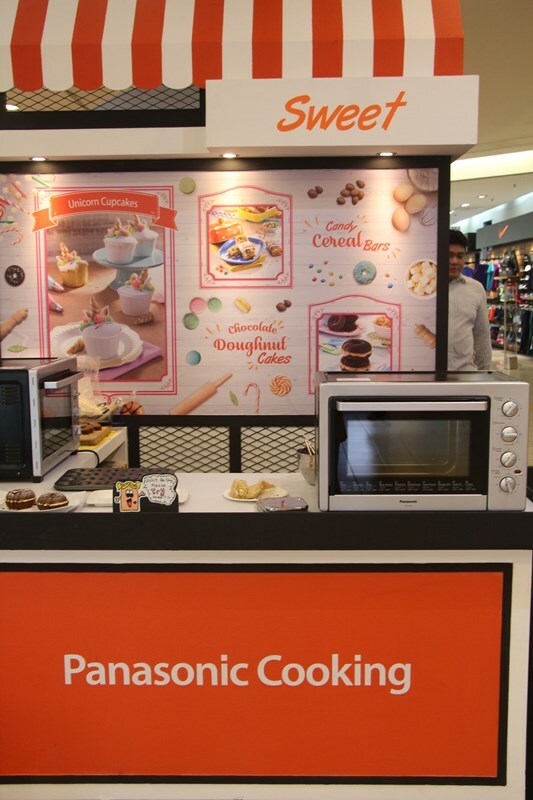 Panasonic has designed the NB-H3800SSK to be user friendly, so that the whole family can enjoy cooking together. Analog knobs simplify operations for the user, while the oven’s double insulated glass door keeps the high temperature internally and does not cause a burn if the door is accidentally touched. The oven is also portable, which makes it easier for set up at any counter top in the kitchen. 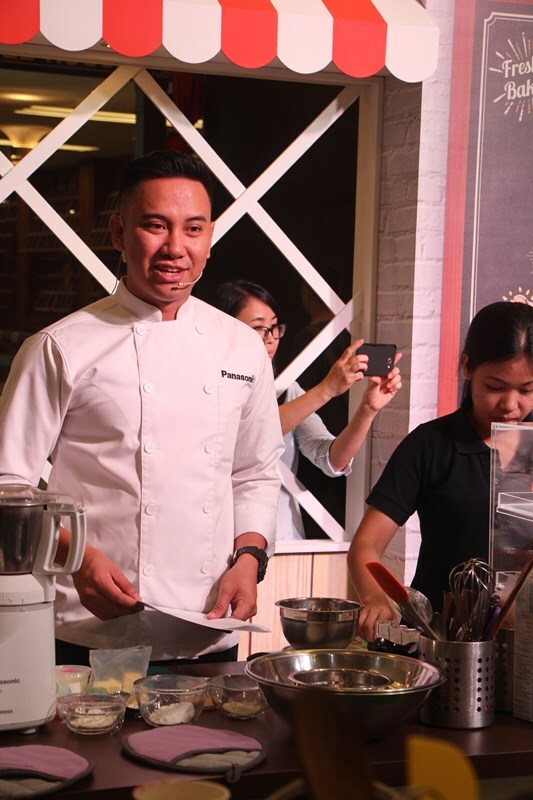 The Panasonic Electric Oven NB-H3800SSK functions to bake and roast, with separate upper and lower heat settings ranging from 70˚C to 230˚C, to enable more precise control over top and bottom heat. There is also an automatic Fermentation function that produces the optimum environment of warmth for products to be fermented. The Rotary function enables poultry, whole fish and kebabs to be roasted on the rotisserie fork. The fat is drained to the bottom tray while the juice remains in the meat. The roast tends to cook and brown more evenly. 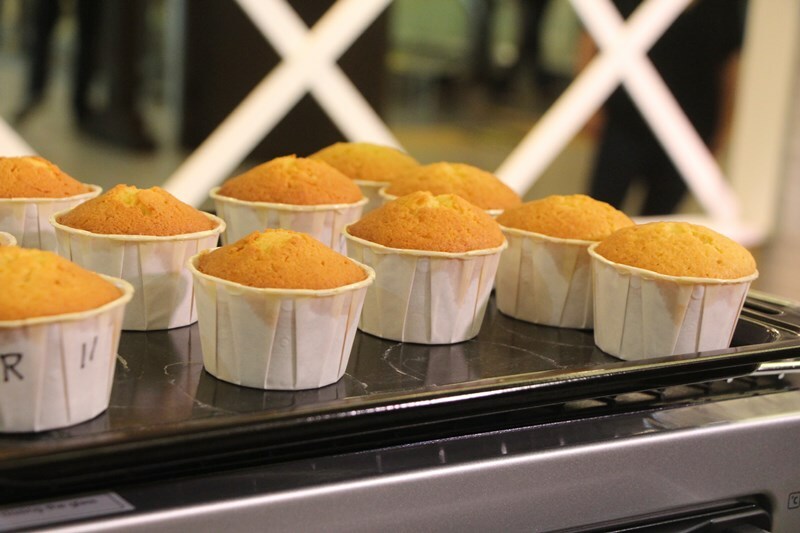 The upper and lower heating tubes are thermostatically controlled for conventional baking and roasting without fan, which are suitable for foods that require long cooking times. This setting is also suitable for cakes, casseroles and large cuts of meat. 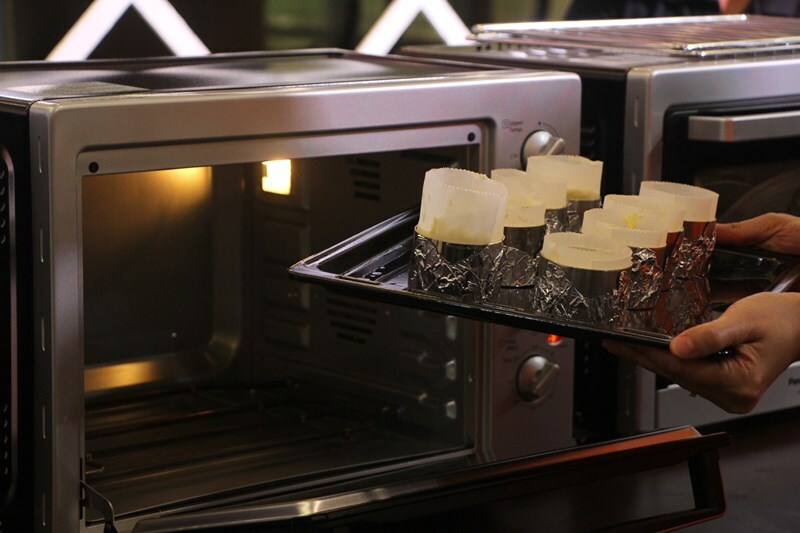 A fan circulates heated air from the upper and lower tubes to quickly bring the whole oven to an even temperature. This setting reduces cooking time, saving energy and producing evenly cooked food. 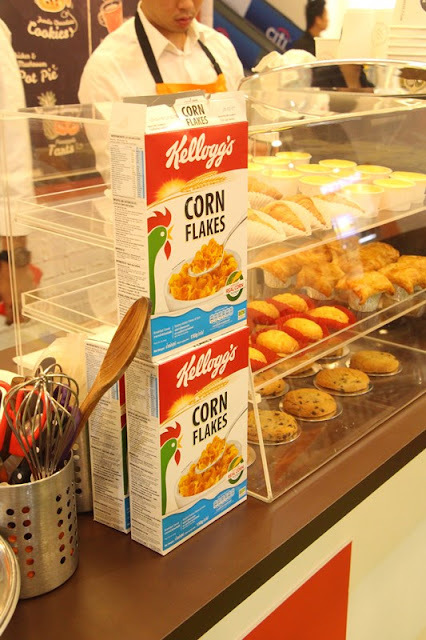 It enables baking on two levels, commonly used for pastries and biscuits. Separate controls for the upper and lower heating tubes enable more focused heat where it is required. Providing heat from the bottom of the oven only is suitable for pizza bases and pastry crusts that need more cooking at the bottom. 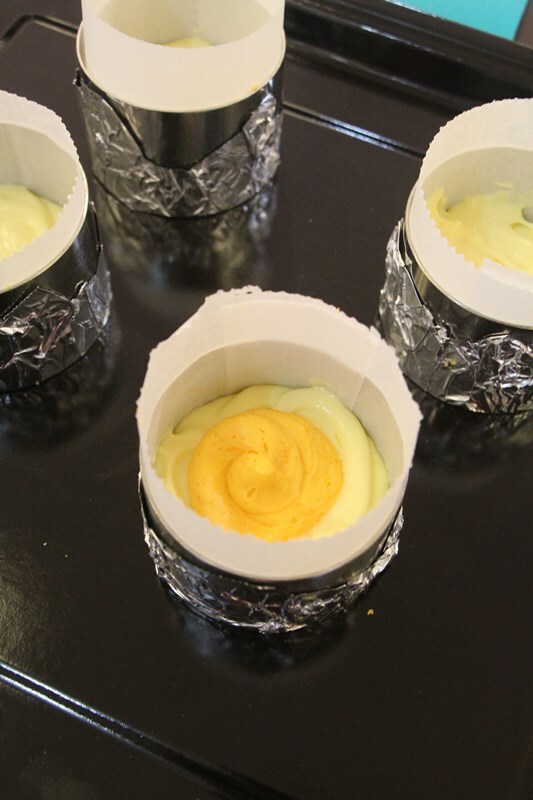 Turning on the upper tubes only creates browning on the top of the food, which is useful for some tart fillings, finishing off a casserole and melting cheese toppings. The fermentation of bread dough, yogurt and other fermented goods is made easier with the help of this oven. 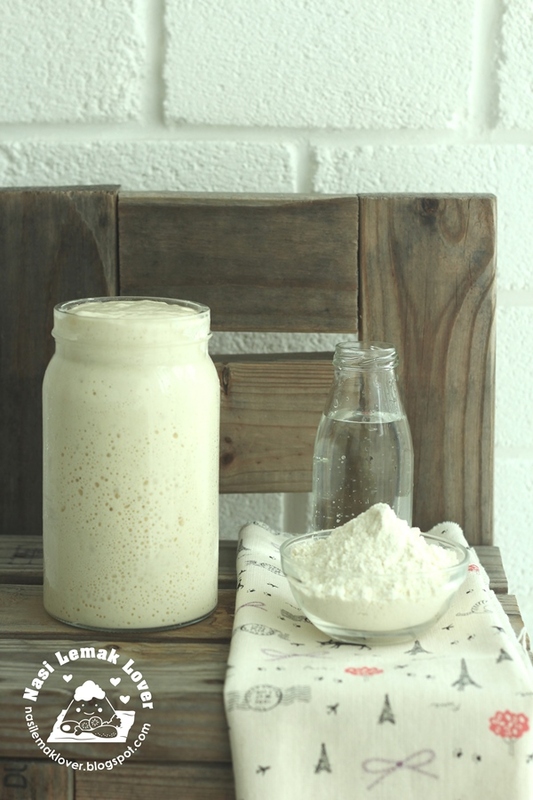 The Fermentation function keeps the temperature at an optimum level for bread dough to proof evenly or for yogurt to ferment. The oven enclosure also creates a draft-free environment so that items undergoing fermentation do not dry out. In the workshop, Chef Collin Lim demonstrated to us two recipes using Panasonic Electric Oven NB-H3800SSK. 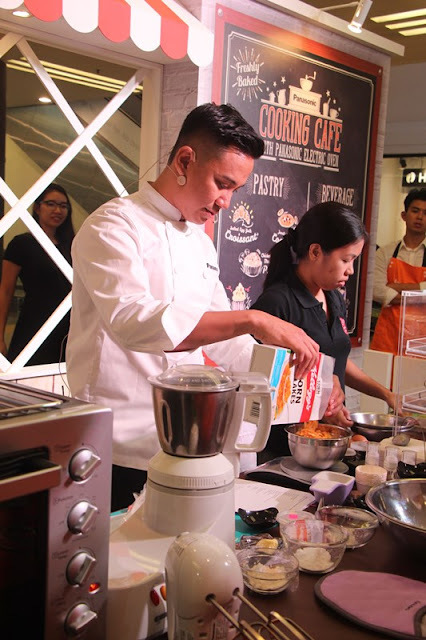 The first recipe was Salted Egg Yolk Cheesecake with Kellogg's Corn Flakes Crust. Never thought of Kellogg's corn flakes can made such a nice crust for this cheesecake. Beside corn flakes, Kellogg's currently also selling wholesome multigrain granola . 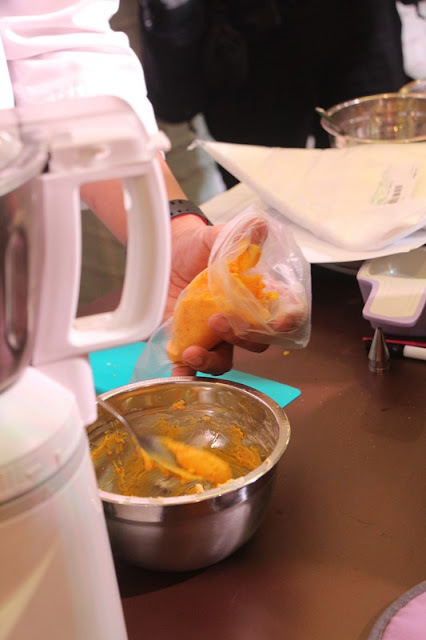 Salted egg yolk filling to be freeze before used. The chef using the Anchor cream cheese to prepare this cheesecake. 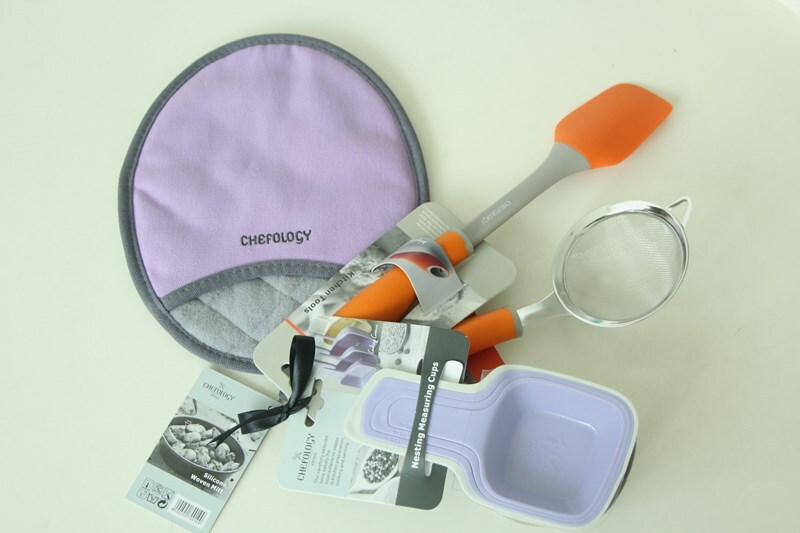 The good silicone spatula used by chef was from Chefology kitchen. Panasonic has also come up with a 12-recipe ebook entitled “Delightful Meals”, aimed at helping to kick-start users of the NB-H3800SSK who are new to roasting and baking. Users can try out the simple yet delicious recipes in the ebook in their kitchen and eventually with the basics learnt, venture into developing new dishes for the family in their versatile electric oven. 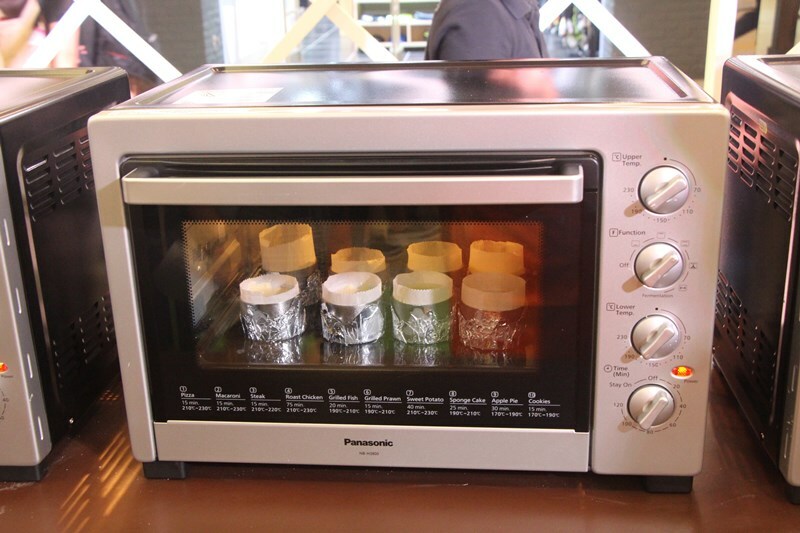 For more information on Panasonic Electric Oven NB-H3800SSK, please visit: http://cooking.my.panasonic.com/. 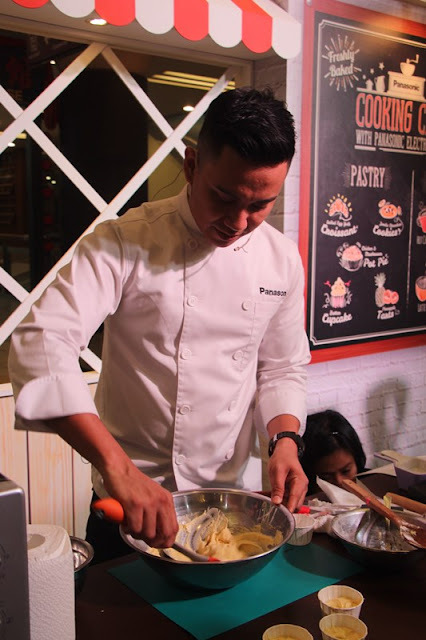 Before i share with you few recipes baked with Panasonic Electric Oven NB-H3800SSK . 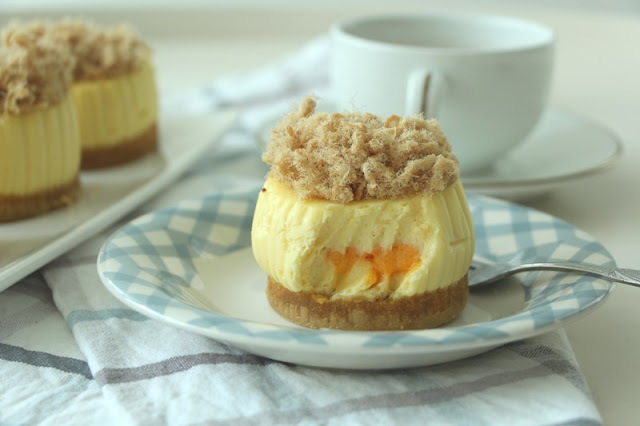 First I would like to share with you this super yummy Salted Egg Yolk Cheesecake with Kellogg's Corn Flakes Crust recipe. 1. Preheat Panasonic Electric oven to 180C on upper and lower tubes. 2. 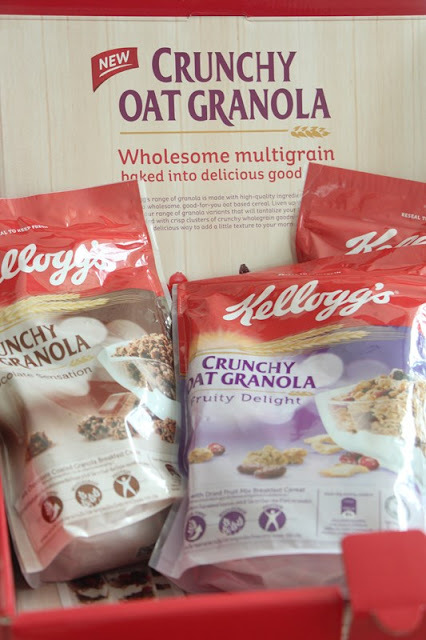 To make the base, grind Kellogg’s Corn Flakes into powder. 3. 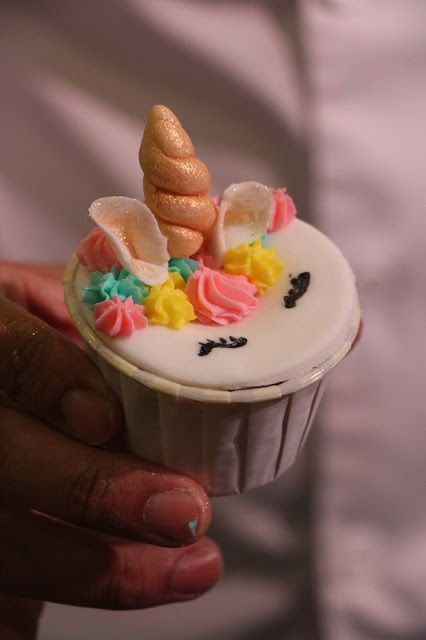 Combine corn flakes powder and melted butter, press onto bottom of ring moulds. Chill. 4. 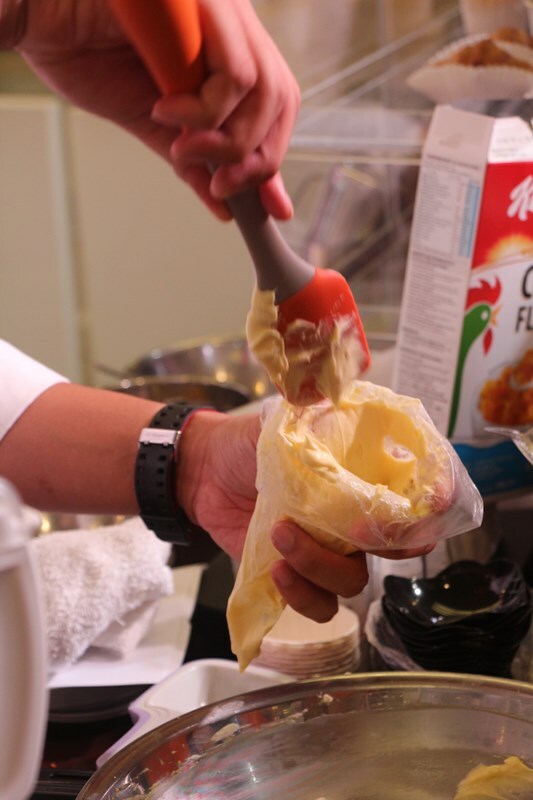 For the salted egg yolk filling, cream butter and sugar then add in salted egg yolk followed by the remaining ingredients and mix well. 5. Place mixture into a piping bag and pipe into small dollops and freeze overnight. 6. For the cheesecake, beat cream cheese, sugar and corn flour till light and fluffy. 7. Next add in egg yolks, cream and salt. Beat till all is well mixed. 8. 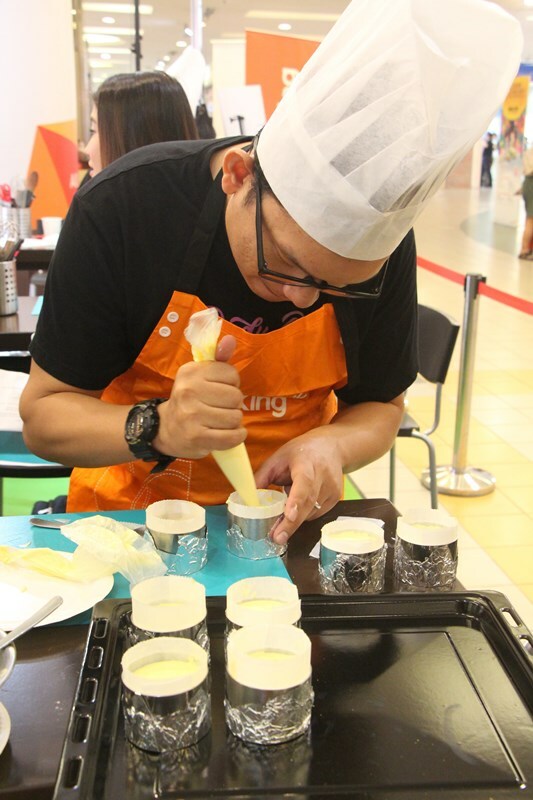 Spoon some cheese mixture onto the crust then place a frozen salted egg yolk dollop into the middle. 9. 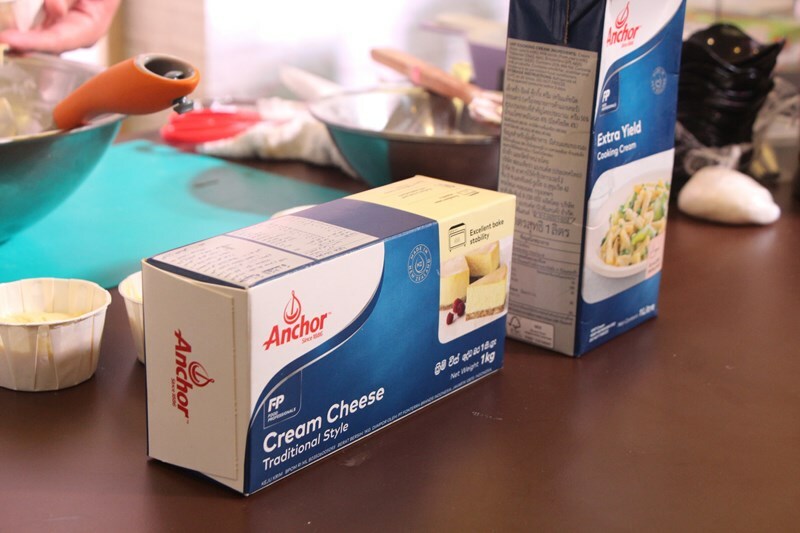 Then cover with another layer of cheese mixture. 10. Bake the cheesecake at 180C for 20mins or until center is almost set. 11. Once done remove from oven and let it to set in fridge overnight. 12. 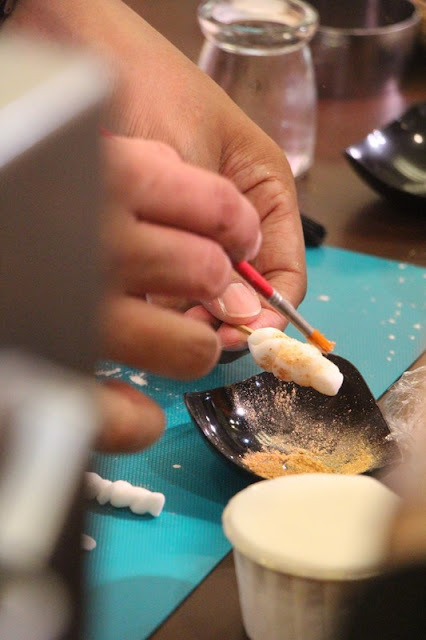 Remove from moulds and top with chicken floss before serving. Tips: Microwave the cheesecake for 20sec before serving to get the flowing lava effect. Looks so yummy ..but where the pictures of step by step in your recepi Sonia? Wouldn't the cheesecake melt if you microwave it for 20sec? What is 55g of cream ? Thank you. ria in solo, sorry, pic step by step was not captured. Elena, it meant for cheesecake remove out from fridge , otherwise you can just adjust accordingly. Just bought this oven. Baked my bread for more than an hour and still not ready. Set to 190 deg. C, in the end had to use my gas oven! Not sure what I did wrong, since my first time using it. Maybe something wrong with the oven? Are the heating tubes supposed to glow red after I heat it up? Could still touch the side, the top with my bare hands after more than an hour heating. CH Siew , you can set the oven temp to 200C, as i found out that i have to increase 20C more to the usual oven temp i used. also try to preheat it longer maybe 20-30mins.